Beemar Wazeer Azam, Beemar Leadership! After the killing of the Tahreek-e-Taliban Pakistan (TTP) Chief Hakimullah Mehsud in a US drone attack on November 1, this year, Taliban Shura decided to appoint the most ferocious and notorious militant Maulana Fazlullah as chief of the TTP. In this regard, a controversy arose for the selection of new leader, as many TTP insurgents had been intensely whispering against Fazlullah by arguing that their head should have been from Mehsud tribe, as many voted for Khan Saeed alias Sajna who belongs to the same tribe. Setting aside the rift between TTP ranks and files, Taliban Shura favoured Fazlullah. This came as a shock to all Mehsud tribal cliques who have serious objections against Fazlullah’s selection as head of TTP. A majority of the Mehsud tribe believes that only Mehsuds have the right to lead TTP, and they also assert that selection of Fazlullah has created differences among TTP factions. Mehsuds also feel disturbed as TTP’s leadership has been taken away from them, whereas till now they were the leaders of the outfit. On the other side, the TTP new Chief Maulana Fazlullah dismissed the proposed peace negotiations with the government as a “waste of time”, and vowed to target the prime minister, chief minister, chief of army staff and corpse commanders. In fact, Hakimullah Mehsud was killed in a US drone strike on information provided by a senior TTP leader Latifullah Mehsud who was captured by US Special Forces in Afghanistan. He disclosed the secret location of Hakimullah Mehsud to American investigators. He did so because he wanted to get money from US. Moreover, he was against Hakimullah for agreeing to start peace talks with Pakistan Government. Reportedly, internal differences and rift in TTP leaders existed which was exploited by Fazlullah to get top leadership of the outfit. Notably, unlike the TTP new Chief Maulana Fazlullah, Saeed is a moderate, who strongly supported the peace dialogue with the government. The choice of Fazlullah as the new head of TTP has no significance because of his obvious vicious trend and stained mind set. The people of Pakistan, Swat and law-enforcing agencies have no doubt about his stature as a non-state actor with power-motives and greedy agenda. However, Fazllulah is a familiar character, also known as Mullah Radio due to his infamous FM Radio Operations conducted against the state of Pakistan and Pak Army in Swat, while People of Pakistan especially the inhabitants of Swat recognize him as a killer with a history of criminal pathology, social delinquency, wicked brutality and cruel outlook. In this context, his real character needs special attention. Maulana Fazlullah who belongs to Babukarkhel clan of Yusafzai tribe of Swat district, is son-in-law of Maulana Sufi Muhammad who had founded Tehrik-e-Nifaz-e-Shariat-e-Muhammadi (TNSM), which was banned by Pakistan Government. On January 12, 2002, he became the leader of TNSM since Sufi had been sent to jail. During his control in Swat, he left no stone unturned in misinterpreting Islam by broadcasting his fiery speeches, preaching virtue and exhorting the people to abstain from vices in order to get their sympathy. Having duality, he opposed the western system, and propagated that imposition of Islamic laws was the sole cure for all the evils in the society. As his supporters grew in size, he started taking practical action against so-called evil-doers by torching electronic and video shops. His militant threatened barbers not to shave beards and were forced to close their shops. Fazlullah also rejected anti-polio move in Khyber Pakhtunkhwa, while his insurgents targeted even women in this regard. He prohibited women from taking part in education and imposed ban on female education in Swat district. Some 400 schools enrolling 4000 girls were shut down and 170 schools were burnt. He had also ordered death of Malala Yusafzai because she favoured the education of girls. During his reign of terror in Swat and other adjoining areas, Maulana Fazlullah allowed his militants to follow un-Islamic activities such as forced marriages, slaughter of captives, beheadings in public, floggings, kidnappings for ransom, suicide bombings, targeted killings, and eliminating the dissidents. It was due to his brutal methods that Green Square in Mingora earned the name of ‘Khooni Chowk.’ He acted upon cruel methods to frighten the people so as to impose his brand of hard-line Shariah on them. In some tribal areas and Swat, insurgents led by Fazlullah have been involved in a number of anti-social and un-Islamic practices like drug-smuggling, car-snatching etc. They justified that thus, they collect money to wage the holy war. From wealth, collected through unfair means, he constructed a Madrassa in Mingora worth Rs 25 crores, which became his base of operation and he used it for the purpose of training terrorists. While making Swat a state within a state, his militants also killed several personnel of the security forces. Optimistically, the Pakistan Government signed peace deals with Maulana Sufi and Fazlullah by agreeing to introduce Nizam-e-Adal in Malakand District and these insurgent leaders agreed to renounce violence. But, contrarily, Fazlullah’s terrorists occupied Dir and Buner by transgressing the Swat agreement. When Pakistan’s armed forces successfully ejected the TTP militants out of these areas through Swat and Malakand military operations, the new leader of the TTP Maulana Fazlullah who had close connections with Pakistan-based TTP leader Hakimullah Mehsud, had run to Afghanistan. Based in the Afghan provinces of Kunar and Nuristan—with the support of Indian secret agency RAW, Afghan spy service, the National Directorate of Security (NDS) which also have tactical backing of the US, his insurgents intensified subversive activities in Pakistan by sending heavily-equipped militants. Notably, in the past few years, in connivance with the South Wazirstan-based TTP and its affiliated outfits, his militants killed thousands of persons across Pakistan through suicide attacks, bomb blasts, targeted killings, beheadings, assaults on military troops, police stations, sectarian violence etc. Besides, they also targeted mosques, Imambargahs, mausoleums, and disgraced dead bodies. It is mentionable that Latifullah Mehsud also confessed that Afghanistan and India were involved in promoting terrorist activities inside Pakistan. He revealed that while waging proxy wars in Pakistan, terrorist attacks on Gen. Sanaullah Khan Niazi in Upper Dir, at Peshawar Church, in Qissa Khawani Bazar and elsewhere had been planned by Indian and Afghan intelligence agencies. Particularly, regarding terror-attack at Peshawar church, TTP did not claim responsibility, but it proved when the outfit misinterpreted Islam by indicating that it was in accordance with Sharia. Nevertheless, Maulana Fazlullah and his so-called followers have also been playing a key role in recruiting very young boys—and after their brainwashing through indoctrination; they train them for suicide bombings. The planners misguide these Muslims by convincing that they will have a noble place in the Heavens in exchange of suicide attacks. As a matter of fact, Fazlullah is a hypocrite, as he deserted his followers in Swat due to Army operation, and managed his own survival because he was standing through foreign funding and supply of arms cache to launch terrorist attacks inside Pakistan. In these terms, his morality is also questionable and so is the case of his heroism. Simply speaking, Fazlullah represents ‘bad’ Taliban who are at war with Pakistan on behest of their foreign masters. His open verdict for not resuming peace talks with the Pakistan Government points at his future strategy to continue terrorist attacks. 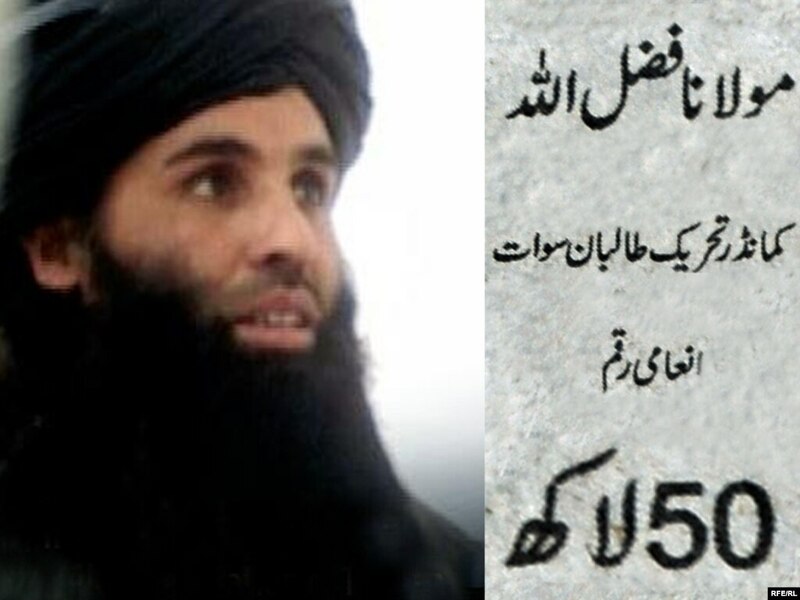 To Fazlullah’s full appeasement, TTP has already declared to avenge Hakimullah Mehsud’s death. Nonetheless, return of Fazlullah as TTP leader is not a big deal, as all stake holders in Pakistan exactly know his double game. He is undoubtedly an instrument of foreign secret agencies which back him to destabilize Pakistan. So, our political, religious entities and domestic media must assertively project the real character of Fazlullah and his terrorist activities. They must expose the anti-Pakistan forces which do not approve the idea of peace talks with TTP and would certainly go on assisting idiotic criminals like Fazlullah to further weaken Pakistan. Pakistan’s public must also know that Maulana Fazlullah is not a Mehsud by tribe, but gained popularity in TTP due to his links with external secret agencies and maliciously harsh conduct. He is a propagandist who quickly manipulates information about current developments to keep him relevant in criminal band of TTP. Fazalullah is a hypocrite who propagates Islamic laws, but violates all norms and values of Islam to gratify his power-motives. He only understands the language of force and his time appears to be up, unless he mends his ways. Jamaat-e-Islami (JI) was founded by socio-political philosopher Abul Ala Maudoodi on August 26, 1941. He opposed capitalism, socialism and secularism but advocated democracy as an integral part of Islamic political ideals. He had close ties with Muslim Brotherhood leader Qutb. Although Maudoodi rendered great service for the cause of Islam, he was among the staunch opponents of idea of Pakistan. The idea collided with his concept of a universal Islamic empire with sovereignty resting in God. Those who sided with Indian Congress and opposed call of Pakistan were Abul Kalam Azad, Deobandi leaders of Jamiat Ulema –e-Hind including Jamiat-ul-Islam (JUI), Khaksars and Khudai Khidmatgars (Red Shirts). However, once Pakistan came on the world map on August 14, 1947, the Jamaat leaders as well as JUI leaders developed fondness for the newly born Muslim State. Maudoodi stated that Pakistan was destined to become an Islamic State. Motivated by the desire to make Pakistan an Islamic State governed by Shariah law, JI was instrumental in getting Objectives Resolution passed by the Constituent Assembly in 1949, which became the guiding document for framing the Constitution. JI spearheaded Ahmediyya riots in Punjab in 1953 which resulted in declaration of martial law in Lahore. Lt Gen Azam Khan crushed the movement in a month time. Maudoodi was awarded death sentence but under public pressure he was released. Chaudhri Muhammad Ali obliged JI by inserting Islamic clauses in the 1956 Constitution. Collision with Gen Ayub Khan started when JI demanded restoration of Islamic articles in 1962 Constitution. To pacify the Islamists, Ayub agreed to inscribe word ‘Islamic’ with Republic of Pakistan in the Constitution. JI supported Fatima Jinnah in 1965 presidential election. In order to bolster its image, JI activists opened relief camps and helped war victims during the 1965 Indo-Pak war and also collected financial assistance from Arab countries. JI was the major spirit behind Pakistan Democratic Movement in 1968 when Ayub Khan decided to celebrate ‘Decade of Development’. 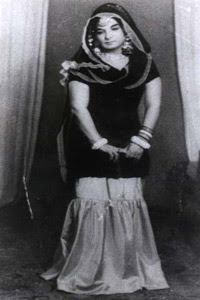 The JI became an ally of Gen Yahya Khan regime and its militant wing Islami Jamiat-e-Tulaba took part in the civil war against the Mukti Bahinis in former East Pakistan by forming Al-Shams and Al-Badr militias and then supported the Army in its fight against Indian Army in 1971 till the very end. After the division of Pakistan, JI established itself as an independent party in Bangladesh after 1975. It became a strong political force after it allied with Khalida Zia led BNP, but is currently under duress owing to politically motivated war crime trials opened by Hasina Wajid led Awami League regime at the behest of India. Kangaroo courts have awarded death sentence to several aged leaders of JI. Proceedings against 69 year old JI chief Matiur Rahman Nizami have also been completed and he could be awarded maximum punishment. This uncalled for vendetta to settle old scores has further polarized the society and made the overall climate in Bangladesh highly turbulent. In October 1972, Mian Tufail Ahmad replaced Maudoodi as the new Ameer. By 1976, JI street power increased dramatically and with 2,000, 000 new entrants joining it, the party became a force to reckon with. After spearheading civil disobedience campaign of rightist parties in early 1977, the JI took active part in the PNA movement of nine-party alliance to protest against rigging in March 1977 elections by ZA Bhutto’s regime. When Gen Ziaul Haq took over after forcibly removing the elected government and didn’t stick to his promise of holding elections within 90 days, Tufail exerted pressure on him to do so. While holding important portfolios in Zia’s government, JI ideologues lent full support to Zia in his drive to Islamize the society and the system of education. Media was bridled and asked to refrain from advancing western and Indian cultures and instead promote Islamic values. Emphasis on Islam was considered vital in the wake of damage done to the society during Bhutto’s rule in which secularism was propped up. Afghan war in 1980s brought the US, Zia regime and JI as well as JUI on one platform. In order to feed the proxy war in Afghanistan against the Soviets, the US in its bid to enroll Jihadis from all Muslim countries patronized the religious right. In Pakistan, which had agreed to fight the proxy war as a Frontline State, JI was designated as the ideological bulwark of Islam by USA and Zia. In 1987, Qazi Hussain was elected as new Ameer of JI. Miraculous success in 1988 against the Soviet forces raised the stature of Jihadis, Pakistan, Gen Zia and JI and JUI, which in turn strengthened politico-religious forces and led to militarization of the society because of proliferation of arms and drugs. During the ten years democratic era from 1988 to 1999 in which the PPP and PML had two stints each, the two political parties paid little effort towards bridling Jihadis who had taken part in Afghan war and to push out foreign fighters. As a result, al-Qaeda, Islamic Movement of Uzbekistan, Turkestan Islamic Movement and Islamic Jihad Union got firmly entrenched in FATA and developed lasting camaraderie with local Jihadis. Sectarian outfits duly funded by Iran and Saudi Arabia intensified sectarianism throughout the 1990s. TNSM under Maulana Sufi in Swat and Malakand gained strength during this period. The JI under Qazi Hussain in the meanwhile further streamlined its internal organizational and educational structure. It joined IJI with PML in 1988, but in its bid to become a third force, it charted an independent course in 1993 elections and paved the way for PPP to regain power. Although JI boycotted 1997 elections, its nuisance value as pressure group remained intact. During Gen Musharraf’s rule, JI became part of MMA, a grouping of six religious parties. In the 2002 elections, MMA succeeded in clinching Khyber Pakhtunkhwa and Balochistan governments and in earning a sizable presence in the federal government. MMA increased its vote bank for the first time on the slogan of anti-Americanism which had peaked because of Musharraf’s u-turn on Afghanistan and submitting to US demands. Although JI denounced the US and Musharraf’s pro-US policies, but MMA not only validated Musharraf’s rule by passing the 17th Amendment in 2004, but also nurtured extremist groups in FATA and in Swat region. Resultantly, TTP came into being in December 2007, which by now has spread its tentacles in all parts of the country and is tenaciously fighting the security forces as well as resorting to terrorism against civilians and destroying property. Lal Masjid operation in July 2007 was vehemently opposed by JI. JI and Tehrik-e-Insaf (TI) and Balochistan nationalist parties boycotted 2008 elections. Because of failing health and an attack on him by TTP militants, Qazi Hussain handed over the reins of JI to Syed Munawar Hasan. In the 2013 elections, although the TTP spared all the religious parties, PML-N and TI and targeted only liberal parties, JI performed poorly but managed to form a coalition government with TI in KP. Like JUI-F and JUI-S, JI is also known as the political face of TTP because of ideological affinity with it. Its closeness with TTP can be judged from the fact that Munawar Hasan was named as one of the guarantors by TTP for holding talks with PPP regime. JI’s affiliation with al-Qaeda got established after some high profile al-Qaeda members were arrested from homes of JI leaders. The JI must explain to the nation the association of its following members with Al Qaeda:- Khalid Sheikh Muhammad; Ahmed Farooq and his son Hamza Aziz; Muhammad Javed Ghori; Tehreek-e-Islam women wing. Irrespective of its affiliations, JI believes in democracy and constitution of Pakistan. Of course, establishment of Shariah remains its goal. The TTP and affiliated militant groups term their fight against State forces as Jihad and security forces fighting them to preserve the integrity of the country as non-Muslims not deserving funeral prayers and burial in Muslims graveyard. Maulana Aziz, the leading cleric of Lal Masjid in Islamabad had issued an edict in 2004 in this context. JI Chief Munawar Hassan has now lent strength to Maulana’s assertion by reiterating that militants dying in combat are martyrs and soldiers are not. This unpalatable debate heated up in the aftermath of death of TTP Chief Hakeemullah, termed as Shaheed by Munawar. 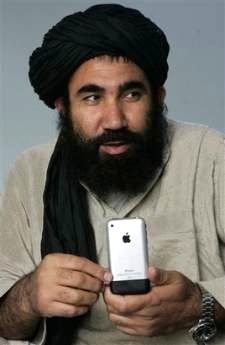 Fazlur Rahman created more ripples by stating that even a dog killed by US drone is a martyr. They not only undermined the sacrifices rendered by soldiers and the masses but also glorified TTP. What Munawar and his types imply is that the TTP militants are freedom fighters and Pak Army is an occupation Army fighting an illegal war. He has given a certificate of martyrdom to terrorist and derided Pakistani soldiers. Known for his rude and rustic behavior, his reckless statement invited wrath of religious scholars and denunciation from all segments of society. Only TTP hailed his statement. He qualified his derogatory remarks by saying that if an American dying in battlefield was not a martyr, how come his backers could be called martyrs when their goals were common. While the JI leaders claim to be against terrorism in all its manifestations, Munawar doesn’t consider beheading of soldiers, public hangings and bodies strung up from lampposts, bombing of mosques and Imambargahs, destroying schools, attack on funerals, kidnappings for ransom by TTP militants under Hakeemullah from August 2009 till end October 2013 as acts of terrorism. He forgets that TTP is funded and equipped by non-Muslim foreign agencies including CIA. Munawar’s offensive remarks were strongly condemned by DG ISPR. He said that his remarks have caused immense pain to the families of those who died fighting for their country. He added that JI chief ‘insulted’ the martyrdom off thousands of innocent Pakistanis and soldiers. He sought unconditional apology from him. Unfazed by Army’s tough rejoinder, Munawar refused to regret and stuck to his guns, while JI Shura also defended his stance. JI’s advice to the Army not to indulge in politics by issuing political statements is indeed surprising when seen in the backdrop of its prolonged alliance with military rulers. Because of its long association with the military, JI is dubbed as B team of the military. Decades long alliance of the duo is in doldrums and may snap unless the JI Ameer picks up moral courage to own up its mistake and clarify his position. If he doesn’t, it will lend strength to the common perception that he has lost sense of proportion and capacity to think logically and to behave in a civilized manner. I will not waste your time, Mian Sahib as a student of history, I saw you coming to power as an alternate to Benazir Bhutto’s government as an enterprising leader who enjoyed support from the military. Earlier you came in prominence with the slogans like, “Jaag Punjabi Jaag” and became finance minister of Punjab taking oath from General Gillani under another dictator General Zia ul Haq who publicly branded you as his own ‘son’. In 1990 , I remember you winning 92 out of 105 parliamentary seats in Punjab alone defeating Pakistan Democratic Alliance who relied on it’s Sindh bastion. You were appointed as the youngest prime minister ever in December, 1990 and indeed as Ishaq Dar claims (much like Manmohan Singh’s Economic Policies in 1990’s) set the country on the path of economic liberalism – steps which should be acknowledged but then around 1991 you my dear prime minister, relaxed exchange controls and privatized 89 public corporations where atleast more than half of the 89 corporations by directly and indirectly owned by Itefaq Group – a company your father, owned. A few months later you showed your loyalties to General Zia and “re-launched” Islamization policy and passed Shari’ah Bill passed in May, 1991. During this time, those who accuse you being a power-hungry autocrat, accuse you of proposing 12th amendment authorizing yourself to take control of a province. Earlier in 1990’s Late former prime minister, Benazir Bhutto who signed the ground-breaking Charter of Democracy alleged in her book that you took money from Osama Bin Laden. Khaled Khawaja a former ISI spymaster who had spend time with you writes in his book a remarkable communication between you and Osama Bin Laden. According to Khawaja, Nawaz replied, ‘I love jihad’. Unimpressed, Osama stood up and pointing to a pillar in the room said, “Yes, you may love jihad, but your love for jihad is this much,” indicating a very small part of the pillar. ‘Your love for your children is this much,” pointing to a larger portion. “And your love for your parents is this much,” he continued, pointing towards the largest portion. “I agree that you love jihad, but this love is the smallest in proportion to your other affections in life.” However, to Osama’s dismay the argument went over Nawaz Sharif’s head. Khawaja revealed that Osama gave Nawaz just a minuscule of the Rs 500 million cash that he wanted, but more importantly, for the Pakistani, what he received in kind proved to a virtual windfall. My former prime minister, these are serious allegations – something you should publicly come out and defend. Sir, there’s obviously a serious issue of atleast two bank transfers from ISI to your andJaved Hashmi’s account of Rs. 6 million and Rs.50 million somewhere around early nineties – details and documentary evidence of which has been with the petition lodged at Supreme Court by General Asad Durrani on April, 20, 1994. Mian Muhammad Nawaz Sharif it is now alleged that you took part and give out consent to kill more than 15000 members, voters, sympathizers of MQM during the infamous, “Operation Cleanup” with the establishment. I remember during those time, you gave out strong statements against MQM and showed MQM’s men on PTV who were obviously drugged to give out confessional statements against “MQM’s involvement with the Jinnahpur Maps” – something which after 17 years been exposed by your closest ally Brigadier Imtiaz. Brigadier Imtiaz, former IB chief who reported directly to you apart from actually giving out details of “Operational Midnight Jackal” where you, Mian Nawaz Sharif with the help of establishment conspired to dislodged an elected democratic government – certainly an act against the State which constitutes high treason and merits Article 6. Your first government finally fell prey to the very people whom you conspired with Ghulam Ishaq Khan then president who dismissed your government on grounds of corruption and law & order but the Supreme Court decision in an unprecedented decision restored you which shows that : Supreme Court always had good relations with you. Your government didn’t last long and you had to announce for an early election which paved way for Late Benazir Bhutto to come to power. In February, 1997 elections due to one of the lowest turn outs in history of Pakistan which was only 35.92% because of boycott of virtually all major parties and where PPP voters didn’t came out, you were elected Prime Minister of Pakistan for the second time through a crushing majority where you won 134 seats out of 204 and got powers to amend constitution and true to your character of “more and more power” and perhaps learning from history: you amended the constitution. On April Fools Day, 1997 the two chambers passed the 13th Amendment over–turning the 8th Amendment where 58 (2) which allowed the president to dissolve the NA was annulled; Article 101 obliged the president henceforth to consult the prime minister before nominating governors; Paragraph 112 (2b) which gave governors the power to dissolve provincial assembles was abolished ; Paragraph 243 (9) (2) was modified so the president lost his discretionary power to appoint military leaders and became the most powerful Prime Minister in the history of Pakistan. They say that with power comes responsibility but you Mian Sahib, systematically used your authority to undermine the opposition in defiance of the separation of powers. The judiciary which you now champion was your first victim where you all of a sudden reduced the number of judges of Supreme Court from 17 to 12 and violated Article 190 of Constitution but you Mian Sahib, blackmailed the nation, judiciary and president by passing a motion with the view to making the president dismiss the chief justice, Sajjad Ali Shah. It was during this time that a mob attacked Supreme Court which your spokesman, claimed to be “the anger of people”. During all this quarrel President and Chief Justice left offices and you again took the advantage and got Rafiq Tarar a friend of your father as President of Pakistan. All this time Itefaq Foundation grew to be a multi-billion company. You brother ran the province of Punjab and you ran Pakistan as your family business. While your brother was running the affairs of Punjab and his politices like those of Islamabad largely served the Punjabi’s interests and business interest in general. Turning his back on the calls for austerity which the IMF and stipulated as a condition for your latest loan, Finance Minister Sartaj Aziz in fact announced that from 28th March there would be a supply policy based on tax concessions to the employers. My dear former prime ministers, your enemies also issued a list of loans which you defaulted during that time. Kindly confirm that either you and your businesses defaulted on following loans or not? BROTHERS STEEL MILL Rs.9 cr. 52 lakhs. Prime Minister this is indeed serious allegations something which you should come out personally and not ask your advisers who are now seen as “DEVILS ADVOCATE” and nothing less. And then as if you didn’t had enough of power, you somehow introduced 15th Amendment on the 9th of Octuber, 1998 and tried becoming “Ameer-ul-Momineen” in the name of Islam apart by taking name of imposing Shiria law and powers to dictate whats right and wrong. I also remember your treatment to the press and freedom of speech during those time where you limited Jang Newspaper to only one page apart from arresting lot of journalists. Every politician, like any other celebrity, has his or her tryst with destiny. Mian Sahib, this is my first letter of series of letter. I understand you have physically, mentally and spiritually reformed a lot but you should now seriously come clear yourself in public and apologize for what you have done or at least clear out the misconceptions if it is a misconception at all. I look forward for your reply at akchishti@hotmail.com.